The Nashuatec embedded solution is developed in-house by the PaperCut Software development team. 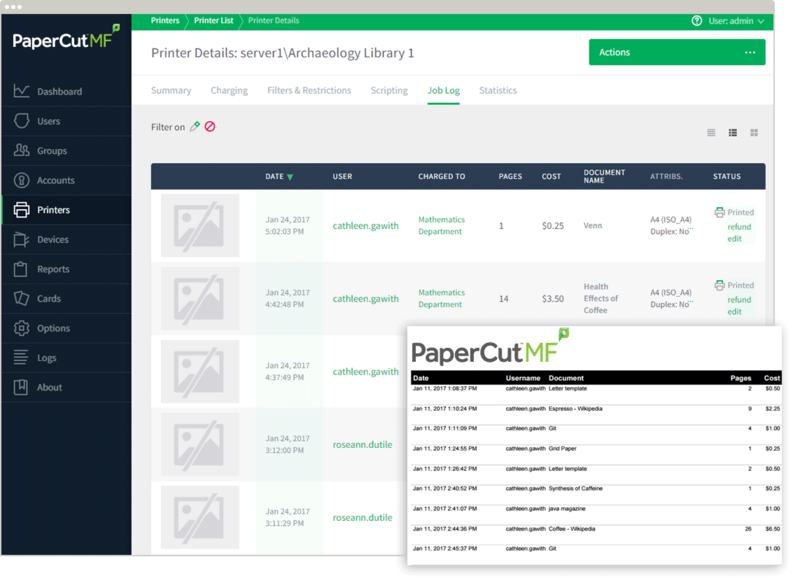 This ensures that the copier interface is consistent with the workstation print interface, meaning users only have to learn one system and one set of terminology. PaperCut supports all Nashuatec MFDs with Embedded Software Architecture (ESA) SDK versions 2/4/5/7/10/11/12. The Java VM card must be installed in the MFD by a Nashuatec supplier. If your device model is not listed, please contact your Nashuatec dealer to confirm that the device supports one of the above ESA SDK versions, and has an LCD touchscreen.